This is Steve Sande for Apple World Today, and you’re listening to the AWT News Update podcast for Tuesday, January 9th, 2018. An Apple Store in Zurich, Switzerland was evacuated for a short time today after an iPhone battery that was being removed from an iPhone overheated and started filling the back of the store with smoke. Reuters reports that “Zurich police said the incident occurred as the repair worker was removing the battery, which overheated and burned his hand slightly. At the same time, there was a slight build-up of smoke, which led to around 50 customers and employees having to leave the business temporarily.” The Zurich police pointed out that the store staff acted properly, sprinkling quartz sand on the battery to allow the smoke to be contained. Police are still investigating the incident. Get ready for WPA3, announced by the Wi-Fi Alliance as a new standard of Wi-Fi security features for both users and service providers. The new standard will become official some time later this year, and will require hardware certification before it can be adopted by networking equipment manufacturers for their gear. The group said it will also try to refine WPA2, the existing standard. Some of the capabilities of WPA3 include protection even when users choose passwords that fall short of complexity recommendations and making it easier for users to configure security for devices with limited or no displays. Other features will strengthen user privacy in open networks. Now, the big question for users of Apple’s AirPort hardware — which includes the AirPort Express, AirPort Extreme, and AirPort Time Capsule — is whether or not the company can adapt its old hardware to the new standards. Since Apple seems to be ignoring its Wi-Fi router line, users will most likely need to turn to other router manufacturers to gain the security features of WPA3. Finally, users of the MacBook and MacBook Pro have something coming in the future that might be useful in making fast backups. 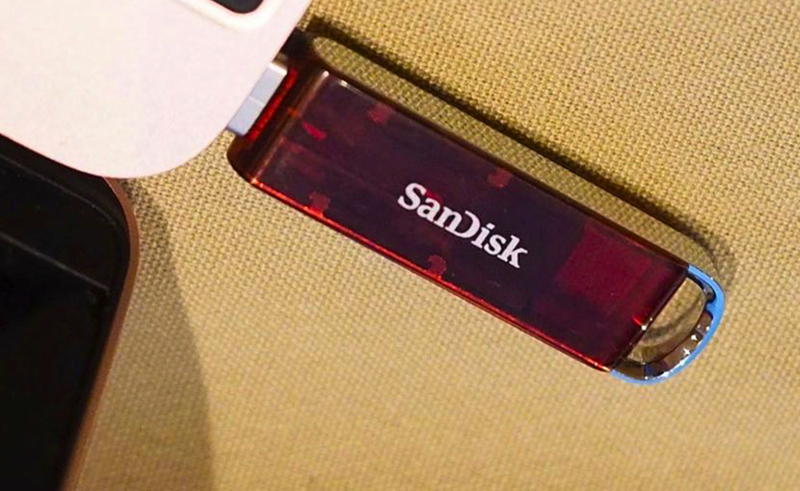 SanDisk is showing off a USB-C flash drive with a 1TB capacity at CES this year. It’s a working prototype, so of course there’s no word yet on when the device will arrive or how much it will cost. The device is tiny thanks to the USB-C connector, and since 1TB portable SSDs cost $300 to $350 right now, you can expect that the SanDisk flash drive would be a bit more expensive.